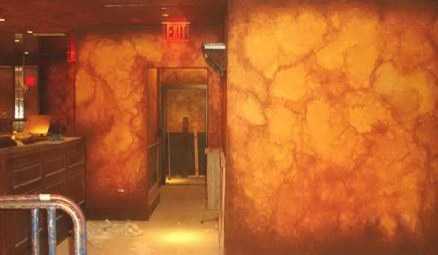 Faux Finish is a decorative painting technique that literally means ‘Fake Finish’ and was originally used to manipulate the finish of stucco and plaster materials. Even though it was used for thousands of years , from cave painting to ancient Egypt, it developed as a decorative art form during the Neo Classical periods as artists imitated marble and wood finishes. 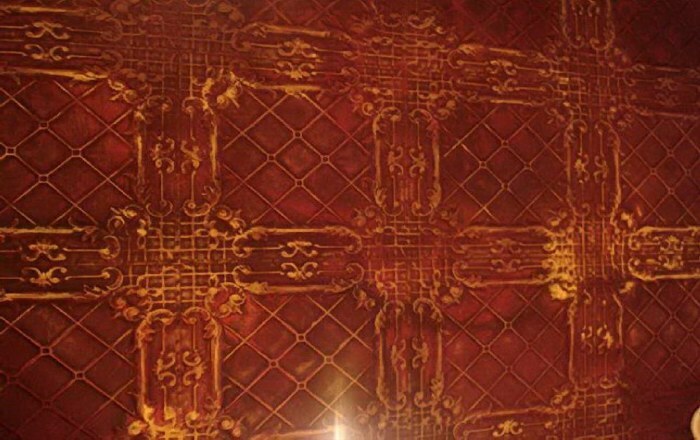 As wall paper fell out of fashion, people turned to the techniques of Faux painting to achieve these decorative finishes in their homes and businesses. Popularity of these techniques continues as an artistic, eco-friendly and socially conscious way to achieve the depth and ambiance of leathers, marbles and exotic woods. The advantage of Faux Finish is two fold. First, it can be applied over any kind of surface from drywall, masonry, metal or glass. More importantly, even after twenty years, the faux finish will look as nice and warm as when it was first applied. Actually, it will look better. A faux finish will hide imperfections like rough walls. It can make a room look larger or create a cozy atmosphere in a large and impersonal area. Even the plainest windowless event room can become a Tuscany Veranda with open vistas, marble columns and comfortable garden niches. 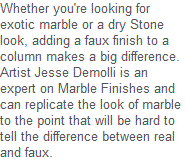 Artist Jesse Demolli is a professional faux finisher with twenty years experience. Faded Wallpaper, Faux finish techniques. Faux Finish literally m eans fake finish. 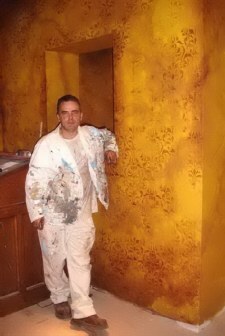 Practically, with paints and tools I can bring the Italian rennaissance or a Victorian ambiance to your home or business. 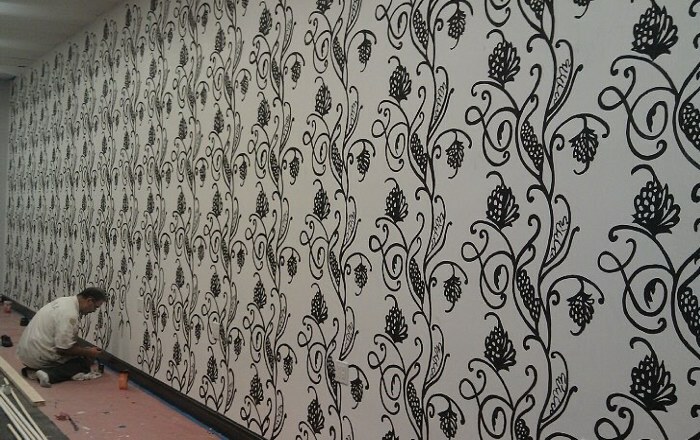 Whether you want to create the effect of stucco or aged wall paper in your home or business, we can work with you to create a magical ambiance. Bring intrigue and depth to your ceiling with the romantic oppolence of the Renaissance. 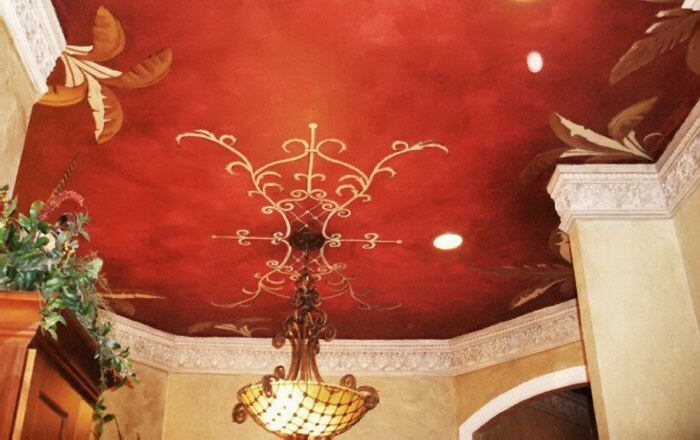 Decorative ceiling tiles add to the authenticity of a room and enhance the accoustics. At the risk of seeming trendy , I’d like to argue the eco-friendly aspects of murals and faux finish. Faux Finish originally started as a way to imitate expensive and inaccessible materials from around the world. 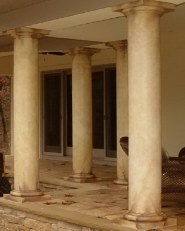 Classic marble columns, warm leather walls, and exotic wood inlay designs can all be painted. Faux finish combines with murals to create a rich ambiance that can transform a room. 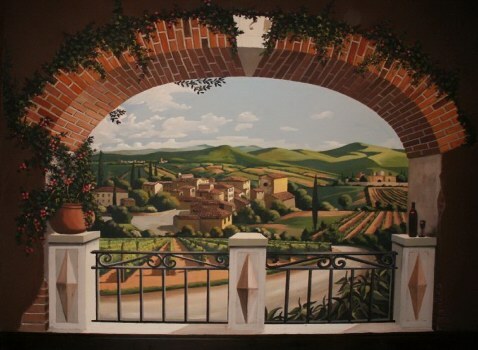 Create a Roman window that opens into a Tuscan vineyard. Paint ceiling murals of geometric patterns or a Giraffe print ‘wallpaper’. Faux Finish techniques can even be used to create fantastic materials not available for decorative purposes. Have you considered having an Avatar landscape created for your bedroom? Decorative art techniques support modern visions of cohabitating with nature, appreciation for the cultural footprints of a complex global society and they don’t damage resources. Painting brings the world to you without destruction. It shows respect for the things that matter to us. It allows us to honor the earth without ripping chunks of it up to adorn our homes. Artists contribute to sustainable communities by helping people interact with their world in gentle ways. Help sustain an artist and hire one today.